Ligan Recipes, Ligan Rich Foods, What are Lignans? Lignans area group of compounds found in plant food mainly flax seeds. In reality they are phytoestrogens which mimic the role of estrogen. When we eat lignin rich foods, the healthy bacteria in the gut convert them to a lignan metabolite - enterolcatone. This circulates in the blood, binds to estrogen receptors and act like estrogen thus making up for the estrogen deficiency. However in situations of high levels of estrogen in body too, they bind to receptors while reducing the activity of natural estrogen. So its beneficial to all. Flax has considered the highest source of lignan. 2 to 3 tbsp of flax is advised daily to make up for your lignan requirement. 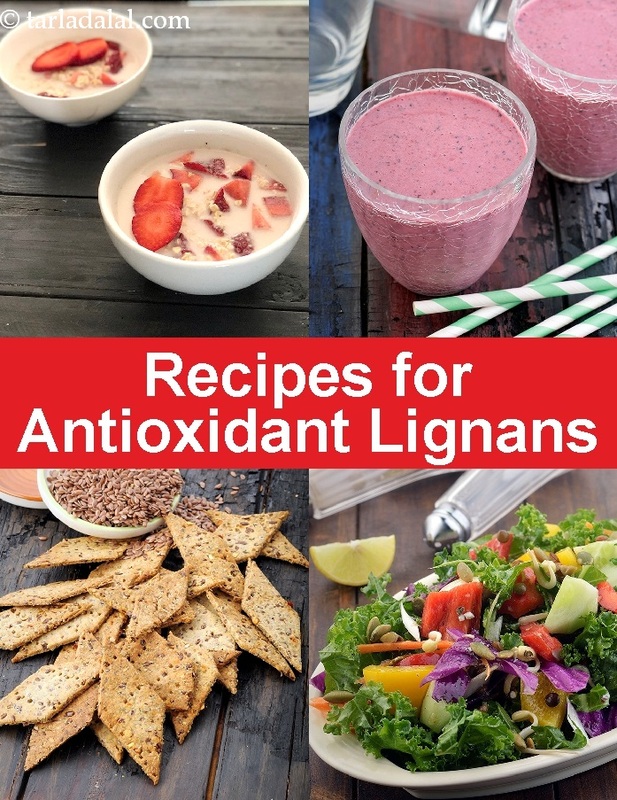 Loads of plant foods with lignans and here are loads of recipes for you to try too. Cheers to healthy heart, colon, reproductive organs and general health of cells! Suggested serving size for 100 calories: 5 puris. Easy to make, this iron-rich snack with jowar flour and sesame seeds is ideal for anytime and anywhere munching.